Skunk2 Pro-Series professional line of racing cams are designed to optimize mid-range and top-end horsepower and torque; and significantly reduce lap times. VTEC crossover is seamless allowing for the broadest possible power band. 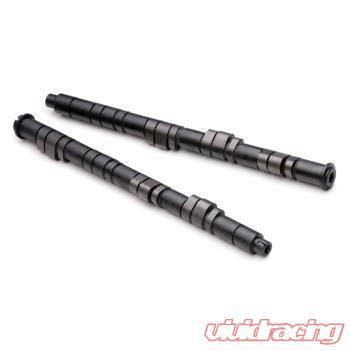 No other line of racing cams can even come close to the performance of the Pro-Series line. Pro-Series patent pending camshaft profiles dramatically improve horsepower, torque, engine response, and valve train stability. The Pro 1 cam is the BEST ALL-AROUND STREET CAM and dramatically improves horsepower, torque, engine response, and valve train stability. Pro-Series camshafts feature a seamless crossover between low and high speed cam lobes with patent pending profiles defined by specific lobe shapes as well as specific characteristics of lift, velocity, and acceleration. Pro-Series cams are all designed utilizing proprietary Fast Ramp Technology and Amax Technology. Use of these two technologies allows Skunk2 to design aggressive camshaft profiles that maximize area under the valve lift curve without adversely affecting valve train stability or reliability. 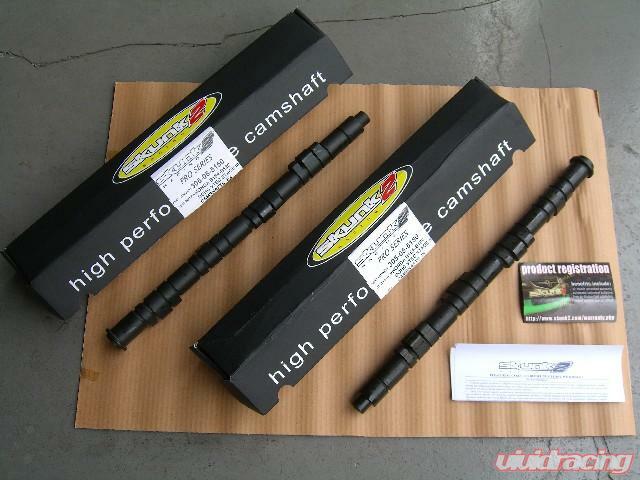 In fact, the use of Fast Ramp and Amax Technologies actually makes Pro-Series camshafts more stable and less prone to spring surge at high rpms. Pro-Series camshafts also feature our newly revised camshaft blanks that have increased torsional strength, improved durability characteristics, and reduced frictional effects; all of which are the reasons why Pro-Series camshafts are superior to all other cams. Pro-Series camshafts are available in Pro 1, Pro 2, and Pro 3 designs.Pro 2: High Lift Street/Race cam designed to optimize mid-range and top end HP and TQ. Peak power is increased and power band is moved 700rpm higher than Pro 1. Pro-Series valve train required.